Cartographers use color on a map to represent certain features. Color use is often consistent across different types of maps by different cartographers or publishers. Map colors are always consistent on a single map. Many colors used on maps have a relationship to the object or feature on the ground. For example, blue is almost always the color chosen for water. 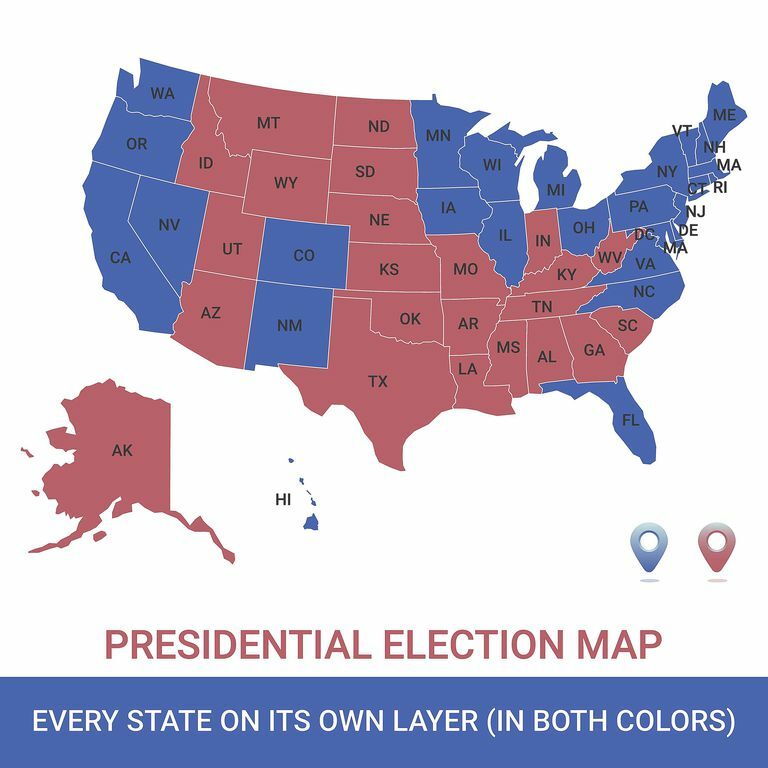 Political maps, or those that show government boundaries, usually use more map colors than physical maps, which represent the landscape often without regard for human modification (such as country or state borders). Political maps will often use four or more colors to represent different countries or internal divisions of countries (such as states). Blue will often represent water and black and/or red for cities, roads, and railways. Black will also show boundaries, differing the type of dashes and/or dots used in the line to represent the type of boundary: international, state, county, or other political subdivision. Physical maps use color most dramatically to show changes in elevation. A palette of greens often displays common elevations. Dark green usually represents low-lying land, with lighter shades of green used for higher elevations. In the higher elevations, physical maps will often use a palette of light brown to dark brown. Such maps will commonly use reds or white or purples to represent the highest elevations on the map. 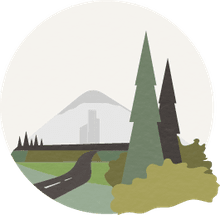 With such a map that uses shades of greens, browns, and the like, it is very important to remember that the color does not represent the ground cover. For example, just because the Mojave Desert is shown in green due to the low elevation, it doesn't mean that the desert is lush with green crops. Likewise, the peaks of mountains shown in white do not indicate that the mountains are capped with ice and snow all year long. On physical maps, blues are used for water, with darker blues used for the deepest water and lighter blues used for more shallow water. For elevations below sea level, a green-grey, red, blue-grey, or some other color is used. As you can see, different maps can use colors in a variety of ways. It is important to look at the map key or legend to become familiar with the color scheme, lest you decide to turn right at an aqueduct. Special maps called choropleth maps use color to represent statistical data for a given area. Typically, choropleth maps will color each county, state, or country a color based on the data for that area. For example, a common choropleth map in the United States shows a state-by-state breakdown of which states voted Republican (red states) and which states voted Democrat (blue states). Choropleth maps can also be used to show population, educational attainment, ethnicity, density, life expectancy, the prevalence of a certain disease, and so much more. When mapping certain percentages, cartographers who design choropleth maps will often use different shades of the same color, which produces a nice visual effect. For example, a map of county-by-county per capita income in a state could use a range of green from light green for lowest per-capita income to dark green for highest per-capita income.